GILA, N.M. (KRQE) - The fight to protect the Gila River continues. Environmentalists say a controversial plan to divert water from Arizona to New Mexico will cause the river to dry up, ruining ecosystems and farmland. The American Rivers Organization recently named the Gila No. 1 on the list for the nation's most endangered rivers. It's now calling on Governor Michelle Lujan Grisham to choose a healthier, more cost-effective way to provide water to the state. According to scientists, due to climate change, the Gila River will cease to be a snowpack-fed river by mid-century. 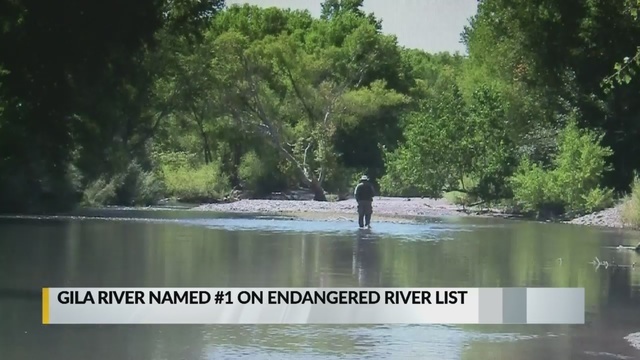 This is the third time the river has been placed on the endangered list since 1995. It was also on the list in 1996, 2008, and 2014. Other rivers in the region listed as most endangered in recent years include the Lower Rio Grande (2018), Lower Colorado River (2017) and Colorado River in the Grand Canyon (2015).